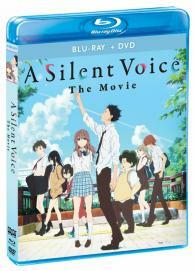 When a deaf elementary school girl named Shoko is forced to transfer to a new school after a boy named Shôya constant bullies her, Shôya suffers over the consequences of his guilt for years. Upon entering high school, Shôya finally decides he must find Shoko, to make amends for what he did in elementary school and to become her friend. Along the way, he meets new and old faces, and struggles with many complicated relationships and feelings in “this beautifully rendered anime” (Total Film).